Good news for those who have been struggling with Twitter’s 140 character count limit. A change expected to roll out within the next two weeks will see Twitter no longer include the characters from URLs or photo URLs in the 140 character limit in each tweet. A change to how Twitter counts characters has been expected for some time. 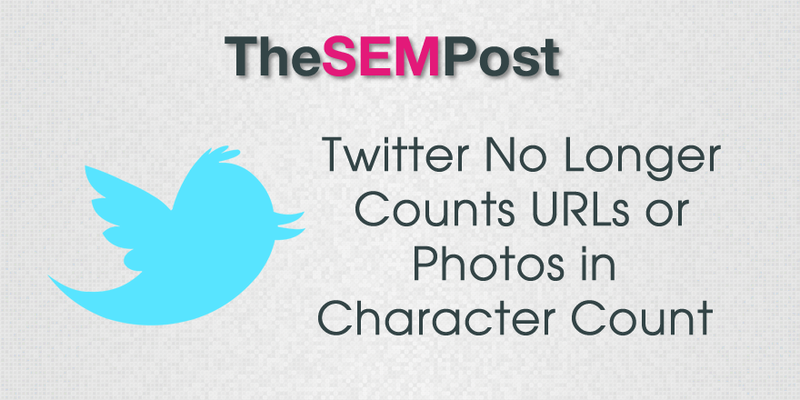 Many expected Twitter to stop counting characters for URLs, photos and Twitter handles. Twitter did change it so you could tag photos with Twitter handles without being included in the character count. But changes to character counts did not always meet with enthusiasm. While many people are wanting more flexibility on character count, when Twitter was rumored to up the character limit to 10,000 characters, it was largely met with resistance from the Twitter community. There was concern that such a huge change to the character count would change the nature of the platform. This also means that some companies will be able to once again use their full URL for branding purposes, rather than resorting to using a URL shortener in order to maximize the number of characters in each tweet. While some companies use their own branded URL shorteners, as we saw with the bit.ly downtime this year as well as bit.ly injecting affiliate cookies, relying on a third party to ensure shortened links work properly can be a problem.